We have heard many times and sung “Sare Jahan Se Achha Hindustan Hamara” but how many of you really mean it??? The Indian citizens or mostly youngsters are always making khayali pulav in their mind, to get settled in the foreign country but this video will have the power to change your perception. Since, last seven to five years, the traveling and travelers have obtained an insane amount of social media appeal. People are more on vacation than any other thing and all cities don’t even belong to India because we forget how beautiful our own India is. 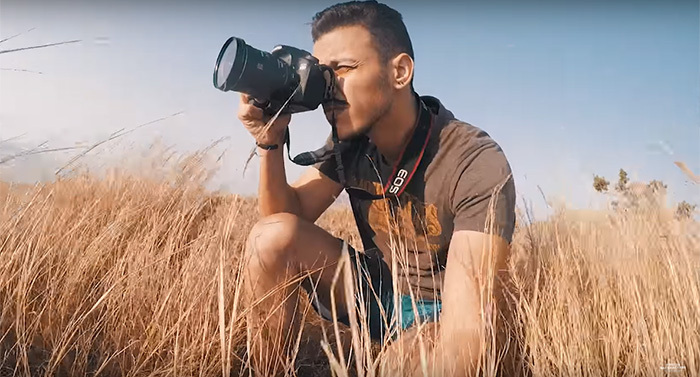 A YouTube channel called ‘Younes Mchiche – Moroccan Backpacker back in 2016 start traveling to capture each part of India like from Delhi to Mumbai, from Himachal to Rajasthan, from Ladakh to Nepal, and finally, in 2018, he uploaded his year-long journey on his channel. He chose to explore India and its rich color, culture, living with the people and the picturesque beauty and at last, he sums the entire journey that showcased the real essence of India in it’s truest form. Moroccan Backpacker’s 11-minute video is showing how beautiful India is and its color. And, also one can first want to travel the whole India rather thinking the visiting some other part of the world. Thank you for this wonderful point of view!